As a powerful wizard, you tried to revive your little friend, but something went wrong, and now you two are trapped in a limbo between life and death! 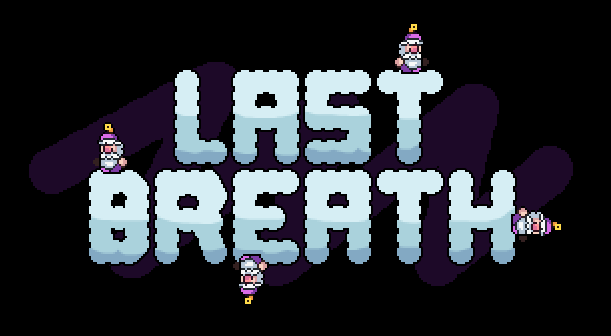 Last Breath is a small puzzle platformer that will make you use your death to place platforms and advance through the levels. It was first developed in 10 days for the CometJam (Oviedo, Spain), and later updated to correct some bugs and to add an speedrun mode. The original game reached the second place at the competition. The game is free, but I'm accepting donations so I can keep doing awesome things. Honestly, I would be very happy if you just play my first game and you have at least half the fun I had making it! You can reach me on my Twitter for updates and for more projects (lots of gifs!) or send me an e-mail at fran.exfer@gmail.com. I shared your video on my Twitter. I just don't get how I am supposed top beat this with just 3 breaths. Hey! Thank you for your comment! I think it is the section you refer too but feel free to ask for additional help if it is not. Probably I should have designed that zone better. Hi, yeah that's exactly it! I was thinkinf totally wrong! I thought I had to place one breath at the vertical spikes on the left (it's possible if you jump right bfore running into the horinzontal spikes. its ridiculously hard to do though),one on the top horizontal spikes and the third one the same way as you did. Using the top left wall , that should theoretically work. But it is in fact ridiculously hard and impractical, so I was quite sure that it was wrong. I didn't really expect that you have not to jump from the second breath to the top left wall but rather directly move over the spikes. In th end the solution was the most obvious and easiest way. I just thought wrong about how and where to jump. PS: You also could have made the top left and right wall a bit longer, so that one could jump from the second breath to the left wal and from there over the spikes on the third breath. Yeah, you're right, and maybe add a breath to that fountain ;). Thank you for playing.